Jese Rodriguez made the perfect start to his Stoke career, scoring the only goal of the game as Mark Hughes' side beat Arsenal 1-0 at the bet365 Stadium. The 24-year-old joined the Potters on Wednesday on a season-long loan from Paris Saint-Germain and he was thrust straight into the action, producing the match-winning moment in the 47th minute. Arsenal, who face Liverpool at Anfield next Sunday live on Sky Sports Premier League, thought they had an equaliser in the 73rd minute through Alexandre Lacazette but the strike was ruled out for offside as Stoke held on for their first win of the season. Jese was quickly involved on his first Premier League start, showing a glimpse of his talent as he burst past Shkodran Mustafi before being denied by Petr Cech. Arsenal, who felt aggrieved not to be awarded a penalty in the first-half when Mame Biram Diouf appeared to bring down Hector Bellerin, grew into the game and almost took the lead in the 20th minute when Alex Oxlade-Chamberlain's clipped pass released Danny Welbeck, but the England forward's first-time shot was blocked by international colleague Jack Butland. 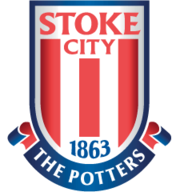 Stoke: Butland (8), Zouma (8), Shawcross (7), Cameron (7), Diouf (6), Allen (6), Fletcher (7), Pieters (7), Shaqiri (6), Jese (8), Choupo-Moting (7). 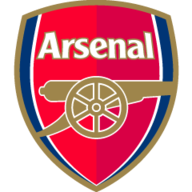 Arsenal: Cech (6), Mustafi (6), Monreal (5), Kolasinac (6), Bellerin (6), Ramsey (7), Xhaka (6), Oxlade-Chamberlain (6), Ozil (6), Welbeck (7), Lacazette (6). Subs: Giroud (6). Walcott (n/a), Iwobi (n/a). Minutes later Stoke, who brought on Saido Berahino after losing Xherdan Shaqiri to injury, needed Butland again as Mesut Ozil's free-kick picked out Aaron Ramsey at the far post. The Welshman volleyed the ball goalwards but Butland was quickly off his line to make a smart save. Arsenal came on strong towards the end of the first-half but it was Stoke who made the perfect start after the interval as Berahino's pass released Jese, and the Spaniard's shot beat Cech to pick out the bottom corner. The Gunners responded well to going a goal down with Ozil's cross picking out Welbeck in the penalty area but the ball bounced off the England international's shoulder and over the crossbar. The visitors turned to last weekend's match-winner Olivier Giroud with 23 minutes remaining and straight away his touch released Welbeck, but Butland was quickly off his line to make a smart block. Mark Hughes handed new signing Jese Rodriguez his Premier League debut, while Eric Maxim Choupo-Moting made his first start as one of two changes to the Stoke side that lost 1-0 to Everton last weekend. Arsene Wenger also made two changes from the side that beat Leicester 4-3 on the opening day with Shkodran Mustafi and Aaron Ramsey replacing Rob Holding and Mohamed Elneny. Jese left the field to a standing ovation in the 71st minute but moments later Arsenal thought they had an equaliser when Grioud's flick fell to Lacazette, and the Frenchman finished emphatically into the roof of the net only to find the offside flag up in what was a marginal call. Arsenal continued to pile on the pressure deep into injury-time and the final chance fell to Giroud, but the substitute headed Nacho Monreal's cross wide of the target as Stoke held on for a famous win. Stoke have lost just once in their last eight home Premier League games against the Gunners (W4 D3 L1). Arsenal posted their highest ever possession figure in a Premier League game (77.3%), since 2003-04 (the first season Opta have this data from). Since Stoke City's first Premier League campaign in 2008-09, Arsenal have suffered six defeats away at the Potters in all competitions. In this period, they've only suffered more competitive defeats away at Manchester United (8) and Chelsea (7), also losing six away to Manchester City. Jesé is the third player to score on their Premier League debut for Stoke, after Ricardo Fuller in 2008 and Michael Kightly in 2012. The Spaniard was thrown straight into the spotlight at the bet365 Stadium and he came up with a match-winning performance that will give the Stoke fans hope for the future. Jese showed an exciting glimpse of his potential in the early stages when he sprinted beyond Mustafi, only to have his shot saved by Cech. He worked tirelessly for his side in attack and he got his reward in the 47th minute with a fine finish to lift the roof off the stadium and secure his side's first win of the season. He was replaced in the 71st minute after running out of gas and he left the field to a standing ovation, acknowledgement of a fine debut performance. Mark Hughes: "I think from the first few moments everybody understood why we wanted to bring him here. I think everybody is going to enjoy watching him and that he'll light the Premier League up as the season progresses. "He can play right across the front three or four. That versatility and flexibility is perfect. He hadn't trained all week the week before this one, and trained three days this week, so it was a little bit of a risk [to put him straight in the starting line-up]. "I thought he scored a great, finisher's goal - that of a top player in my opinion." Arsene Wenger: "I believe it is the kind of night where you are angry. Stoke are in Carabao Cup second round action against Rochdale at the bet365 Stadium on Wednesday night. Meanwhile, the pressure is already building on Wenger and Arsenal as they face a tricky trip to Anfield to face Liverpool next Super Sunday, live on Sky Sports Premier League.